Want to be seen by local residents looking for places to go in Southern Maryland? Premium advertising space in the sidebar of our website is currently available! We are currently looking for 3 advertisers who want to gain exposure for their local business or event! Here’s what we currently have available. The top of our sidebar (on the right) is a rotating ad space. We are offering this space on a month-by-month or week-by-week basis with no long term contract. The ad will rotate among a maximum of three different advertisers never more! Contact us for more information by emailing us here! If you’re a local Realtor, we can put your IDX feed directly into our site. Visitor can search for homes, register for updates, all we need is your IDX feed! Realtor Ads – In-Site IDX! IDX Feed: Full Page $1,000/mo SOLD! 4 Comments on "Advertise With Us"
We are a service company, a janitorial service. I am unsure if this would work for this type of business would work being we have no products to sale. Please let me know. Thank you. Keisha, Thanks for the inquiry! 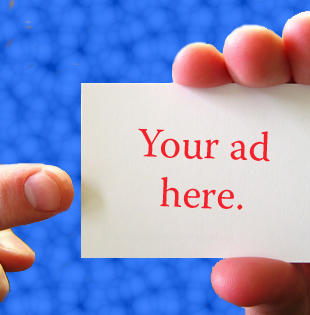 I don’t know that our site would be able to best target your intended audience, but if you are interested we could certainly help you advertise on the site! How do we get listed in your 365 things to do? We host parties and events. Kids can come in to watch a movie. Customers can make their own chocolate pops and decorate them. They can make “sugar sand art” or make their own coke float or rootbeer float. We have wifi and board games. We’d love to feature you guys. What are your store hours and location?